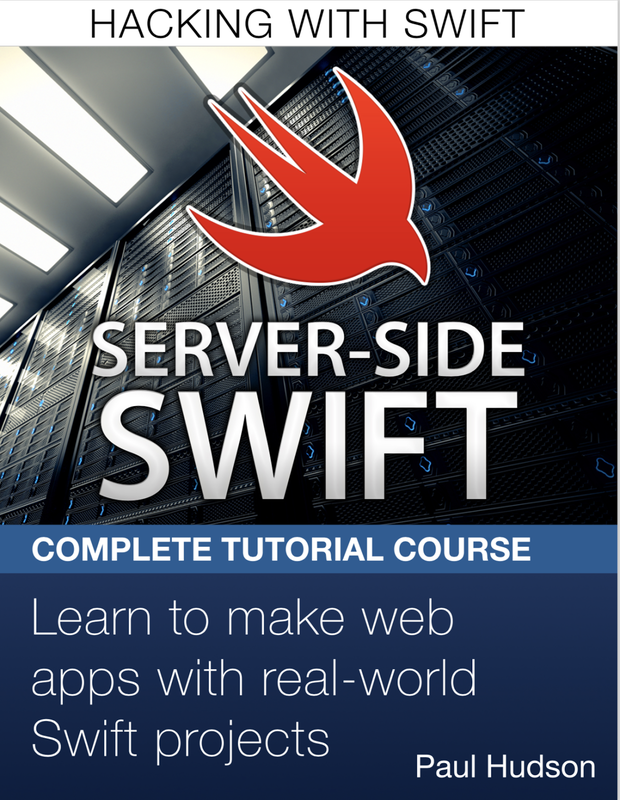 The Server-Side Swift tutorial series is designed to make it easy for beginners to get started building web apps and websites using the Swift programming language. Don't skip the technique projects: The tutorials follow a sequence that places a technique project after every two app projects. That is, you develop two apps then we focus on a particular component to help make your code better. The apps are standalone projects that you can go on to develop as you wish, whereas the technique tutorials will often be used to improve or prepare you for other projects. Get ready to hack: This is not designed to be the one-stop learning solution for all your Swift needs. The goal of each project is to reach the end with as little complication as possible, while learning one or more things along the way. I’ve written these tutorials using Xcode 8.1, which is available for free from the Mac App Store. If you’re using an earlier version of Xcode you should upgrade before continuing otherwise you may encounter bugs. If you’re using Linux or considering using Linux, please read the introductory chapter “A note on Linux”. Swift is a relatively new language, and is evolving quickly. Every new release of Xcode seems to change something or other, and often that means code that used to work now no longer does. At the time of writing, Swift is mature enough that the changes are relatively minor, so hopefully you can make them yourself. If not, check to see if there's an update of the project files on hackingwithswift.com. These projects are designed to work with Kitura 1.0 or later. Please upgrade your system otherwise you’ll find this book very confusing indeed! Important note: if any bugs are found in the project files, or if Swift updates come out that force syntax changes, I'm going to be updating this book as needed. You should follow me on Twitter @twostraws if you want to be notified of updates. I'm also happy to answer questions on Twitter if you encounter problems, so please feel free to get in touch! Swift, the Swift logo, Xcode, Instruments, Cocoa Touch, Touch ID, AirDrop, iBeacon, iMessage, iPhone, iPad, Safari, App Store, Mac, and macOS are trademarks of Apple Inc., registered in the U.S. and other countries. Server-Side Swift is copyright Paul Hudson. All rights reserved. No part of this book or corresponding materials (such as text, images, or source code) may be reproduced or distributed by any means without prior written permission of the copyright owner. I'd like to thank Ankit Aggarwal for his invaluable help and advice with the Swift package manager. It's a fast-developing part of our ecosystem, but Ankit is doing a great job documenting all the changes and supporting everyone who has questions. Stencil template engine. His work made my life a great deal easier, and I look forward to seeing where Stencil goes next! This book is dedicated to IBM's Kitura team, who have patiently answered my many questions on their Slack channel. Chris Bailey, Shmuel Kallner, Youming Lin, Ian Partridge, and others – thank you!